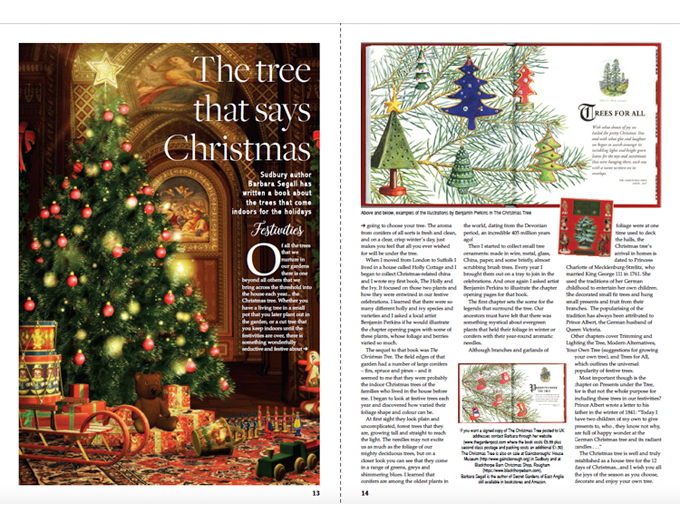 Of all the trees that we nurture in our gardens there is one beyond all the others that we bring across the threshold into the house each year… the Christmas tree. 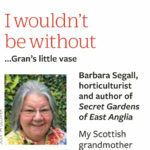 Barbara Segall writes about her book The Christmas Tree for the Bury and West Suffolk magazine December 2018 edition. 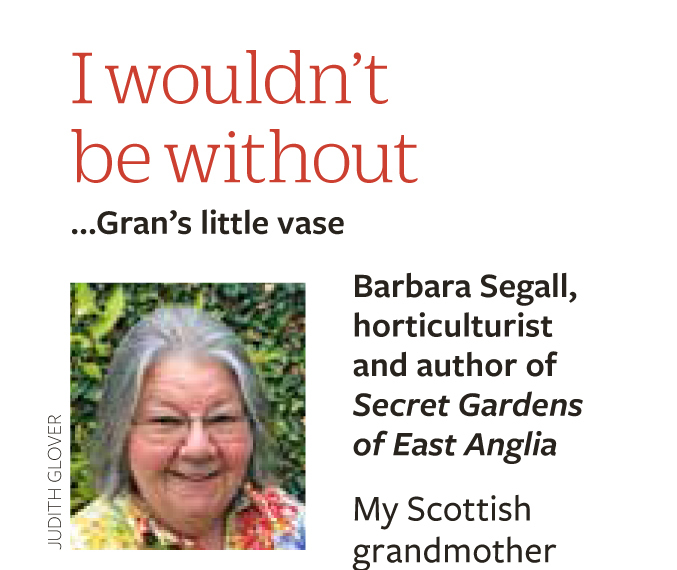 My piece on why I treasure the old-fashioned turquoise-blue china vase my Scottish grandmother gave me as a child was published in the January 2019 issue of RHS’s The Garden magazine. 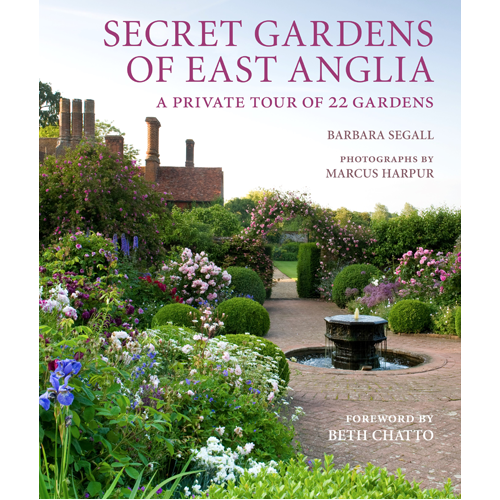 The September 2017 issue of The English Garden published a Q&A with Barbara Segall about her book Secret Gardens of East Anglia, co-authored with the photographer Marcus Harpur. 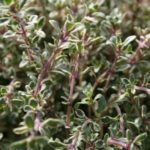 When is a plant a herb and when does it become a spice? 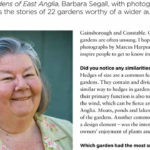 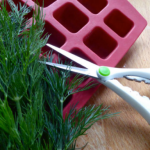 In this article, for Richard Jackson’s Garden website, I attempt to unravel the mystery. 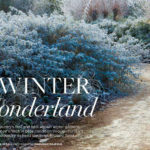 Anglesey Abbey, just outside Cambridge, is one of the country’s first and best known winter gardens, and its kept in peak condition by head gardener Richard Todd. 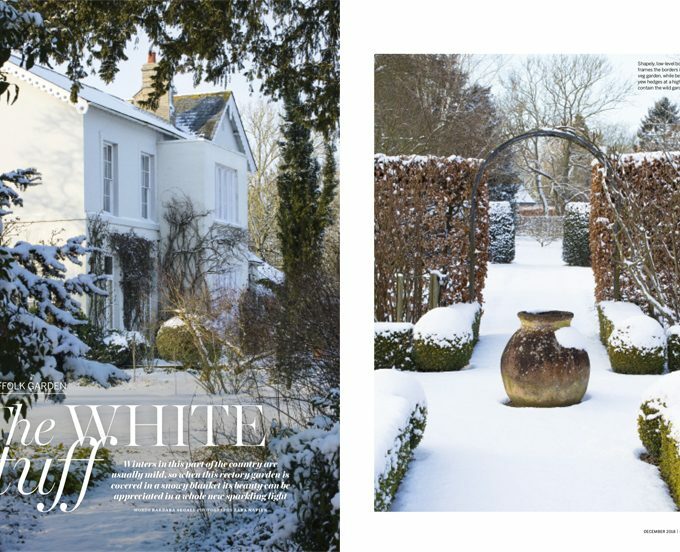 This article, with photographs by Mariane Majerus, was published in the January edition of The English Garden. 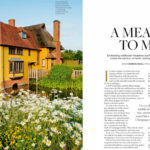 Photographer Marcus Harpur and I visited Wyken Hall, an Elizabethan manor house with extensive modern gardens in rural Suffolk for this piece in The English Garden magazine’s July 2016 issue. 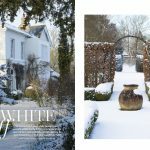 Some plants, once planted, will live long term in the garden, providing fabulous scent and flowers. 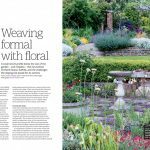 I visited the two distinct but well-matched gardens at Wood Farm, near Gipping in Suffolk, for this piece in The English Garden, June 2016. 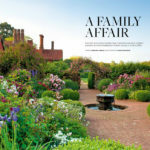 Horkesley Hall in Essex may be grand, but it is the setting for an informal family garden that suits its owner’s relaxed approach to gardening. 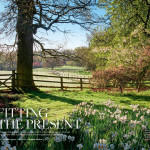 Published in The English Garden, April 2016.